SHIJIAZHUANG, China - Two years after the leaders of his village razed his home to make way for new development, farmer Jia Jinglong took his revenge with a nail gun. In a country that bans personal ownership of firearms, Jia modified a nail gun and used it to shoot and kill the local chief, who he believed ordered the demolition without adequately compensating him. He was tried and sentenced to death. But days after China’s highest court gave the go-ahead for his execution, Jia’s case has sparked an outcry from those who say it exemplifies the stark powerlessness of ordinary Chinese when faced against government officials. Even two state-run newspapers have rallied to Jia’s defense, publishing articles calling for Jia to be spared. Jia’s village on the outskirts of the northern city of Shijiazhuang is overwhelmed by a cacophony of drilling, pounding and jack-hammering coming from construction sites. More than a dozen cranes could be seen in the distance, adjacent to high-rise apartment towers still being built, as families walked on the street and vendors pushed carts bearing fruit and bottles of water. Jia’s family was offered a unit in one of these high-rises when officials wanted to take their home and demolish it, along with what Jia’s sister said was a small amount of monetary compensation. The family was one of the few to refuse. They ended up losing their home and getting a small unit - but no extra money. 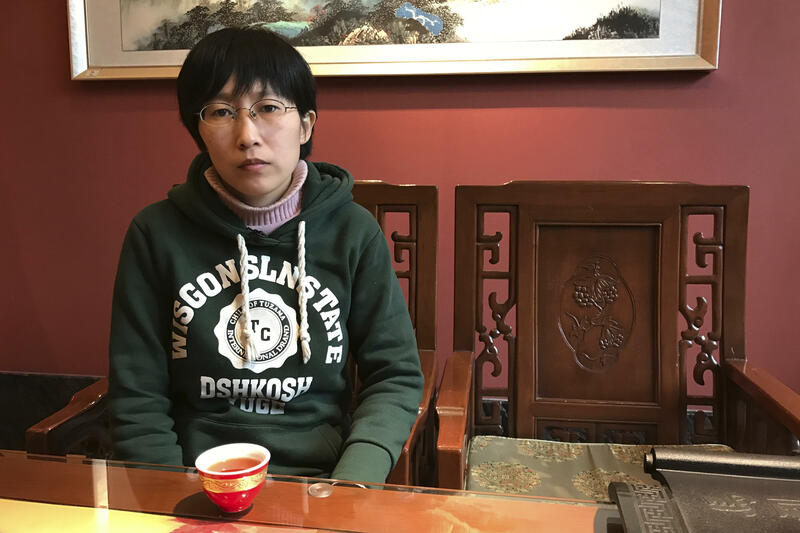 Sitting in a tea shop in Shijiazhuang, Jia Jingyuan said the outpouring of support for her brother showed that his plight resonated. “Because my brother is part of this society’s underclass, he represents the lives of many ordinary people,” Jia Jingyuan told The Associated Press. To some observers, the case illustrates the growing chasm between the Communist Party’s claims that it guarantees the protection of basic rights under the rule of law and the everyday reality in which land seizures are common and corruption remains endemic. The China Daily addressed the issue in unusually frank terms this week. The Global Times, a nationalist state-run newspaper, also published an article quoting Chinese legal experts “demanding a halt to the execution.” And commenters on Chinese social media called for further review of his case. The Supreme People’s Court, which automatically reviews all death sentences handed down by Chinese courts, did not immediately respond to a request for comment. China is believed to execute more people than any other country, though the total number and most details about executions are considered a state secret. That system now faces a rare, public test, said Maya Wang, a researcher on China for Human Rights Watch. Disputes over land seizures are one of the greatest sources of unrest in China, where breakneck development and weak legal support has led to officials evicting residents with little or no compensation and suppressing protests, often violently. Local governments are heavily reliant on land sales for revenue, resulting in the common use of strong-arm tactics in housing demolitions. Officials sometimes collude with real estate developers to pocket generous kickbacks for themselves, giving them more incentive to force out residents from their homes. The central government has made efforts to try to raise the incomes of rural workers and give farmers more compensation for land seized from them, but progress is slow. According to Jia’s lawyers, village officials in northern China’s Hebei province decided to seize and demolish his home on May 7, 2013 - 18 days before he was set to be married. The day of the razing, Jia was dragged out of the home and beaten in front of other villagers. Jia refused to accept the apartment that the government allotted them and chose to rent his own place separately. Without a home, the family of his fiancee called off the wedding - a move that highlights the increasingly common expectation in China that prospective husbands should be homeowners. “An ordinary farmer suddenly became a person without property and with no hope after the demolition,” said one of his lawyers, Zhao Xiaoliang. Like most villagers in his scenario, Jia had little recourse under the law. Like scores of other ordinary Chinese people seeking help for their grievances, Jia submitted appeal after appeal to various levels of government offices that receive such petitions, but was unsuccessful. Such appeals often fail even though the practice dates to China’s centuries-old ruling dynasties, and some provinces - to avoid any recrimination from the central government - are known to hire agents who find and detain petitioners and send them back home. Jia’s sister and his lawyers don’t dispute that he purchased and modified a nail gun that he used to shoot He Jianhua, the party secretary. Jia turned himself in shortly afterward. Zhao, who represented him at trial, said he tried to show the court a video of the demolition of the home, but was refused. The case eventually made it to the Supreme People’s Court. According to Wei Rujiu, Jia’s appellate lawyer, the high court gave him just five days to assemble and present evidence in Jia’s defense, and took 14 days total before it affirmed the death sentence last week. Wei spoke to Jia on Sunday and said he wasn’t sure when the execution would be carried out. Jia’s sister presented a new request to the court on Monday asking for the sentence to be commuted. “I believe that it is possible to see a suspension because many warm-hearted people are making efforts toward that end,” she told The Associated Press.